Quote: "The author of a new book on the role of narcotics in the Third Reich believes drugs not only proved decisive for some of Nazi Germany’s military successes, but also caused leader Adolf Hitler to plunge into continuous self-destructive drug abuse. And Fuhrer Adolf Hitler was a drug enthusiast to say the least. According to Ohler’s research, Hitler became excessively interested in drugs after Theodor Morell became his personal physician in 1936, when he prescribed the fuhrer a drug called Mutaflor to relieve the pain of stomach cramps. Morell became Hitler’s drug dealer for years to come, prescribing the Nazi leader some of the most powerful drugs of the time, including intravenous injections of methamphetamine. Ohler estimates that Hitler was never actually ‘clean’ throughout all of the WWII, which explains the dictator’s talkativeness during public events and personal meetings, sudden changes of mood and other oddities in behavior, such as inexplicable decision-making. The author calculates that from 1941 through 1945, for 1,349 days, Hitler was given no fewer than 800 injections of methamphetamine, steroids and other substances from his personal physician, and took some 1,100 pills as well. A 47-page dossier compiled by American Military Intelligence during the WWII maintained that the fuhrer was a ‘splenetic’ man who took over 74 different types of medication. According to the British Channel 4 documentary ‘Hitler’s Hidden Drug Habit’,the leader’s final days in his bunker were relieved by nine injections of Vitamultin, a drug which contained methamphetamine among its ingredients. Ohler maintains that extensive drug abuse in pursuit of almightiness took a toll on Hitler over several years: by the spring of 1945 his teeth were falling out and he was eating too much sugar to cope with withdrawal symptoms. The Third Reich, just like the rest of the world in 1930s, was obsessed with methamphetamine-based stimulants, which became popular among existentialists, artists, students and sportsmen, La Stampa writes. The whole world was amazed by the results of the American athletes at the 1936 Olympic Games in Berlin, to some extent thanks to such openly sold drugs as Benzedrine, a variety of amphetamine that hit the US market in 1933. And the Germans – along with their leader – kept pace with the times, as Dr. Fritz Hauschild made the early version of crystal meth popular in Nazi Germany under the domestic brand name Pervitin, which was absolutely legal. Even housewives were familiar with ‘wonders’ of the Pervitin, as its producer invented chocolates containing the drug. But the really big-time consumers of Pervitin became German soldiers, which got hooked on it because it relieved fatigue and made them feel invincible. This obviously took a toll on their health. Pervitin spread in the Wehrmacht, and was usually consumed in a form of a pill. Between April and July of 1940 alone, more than 35 million 3mg doses of Pervitin were shipped to the German army and Luftwaffe. This drug investment brought some fruit. 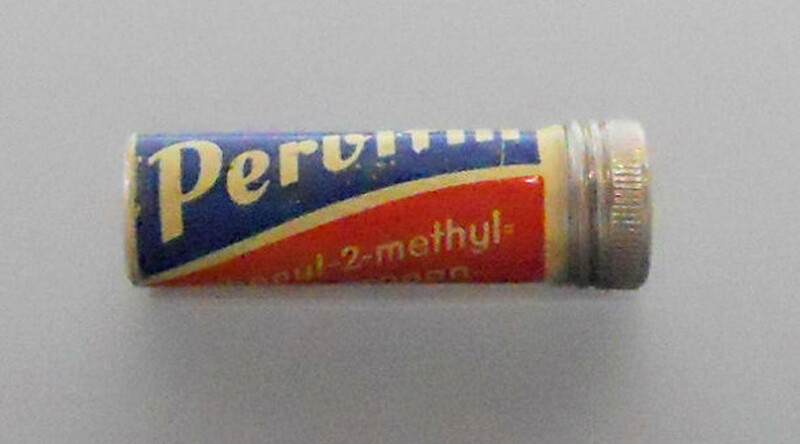 In 1940, during the military actions against France, Ranke strongly recommended generals, including General ‘Desert Fox’ Erwin Rommel the use of Pervitin. Rommel, who used the drug himself, followed the advice. US Air Force pilots' use of amphetamines is one of the most widely documented examples of the use of performance enhancing drugs by military personnel. Often tasked with conducting excessively long missions - some lasting upwards of 20 hours - US Department of Defense scientists began to issue dextroamphetamines - more commonly known as 'Speed', but referred to as 'Go Pills' within the USAF - to its pilots to ensure they remained alert long after tiredness and fatigue should have started to impinge on mental performance. The air force does not hide away from the use of such amphetamines, and has publicly disclosed the prescription of small doses - often 10mg - of Dexedrine if "fatigue could be expected to degrade air crew performance." While the USAF is quick to insist that the use of such medications is voluntary and consent forms must be signed by pilots, the form also notes that pilots can be grounded if they decline. Pilot groundings, no matter the circumstances, can have serious implications on a pilot's career, potentially leading to a perverse situation where a pilot could almost feel forced to take the drugs. The US Army sought to follow the USAF's lead regarding the use of performance enhancing drugs by investigating Dimethylamine (DMAA), a performance enhancing supplement registered on the World Anti-Doping Agency's banned substance list. Investigations were under way until the supplement was pulled from the shelves, having been linked with the deaths of two soldiers in December 2011 while undergoing a routine training drill. The US Army continues to dispute the drug's links to the death of the soldiers, perhaps alarmingly citing that "the use and safety of these stimulant products remains matters of intense interest to the Department of Defense." ..and what kind of over-sight does one imagine the U.S military have on unauthorised stimulant and narcotic use by its troops? Are to we are to believe that strict testing regimes are enacted following deployment? Quote; "DoD labs test 60,000 urine samples each month. All active duty members must undergo a urinalysis at least once per year. Members of the Guard and Reserves must be tested at least once every two years. There are several protections built-in to the system to ensure accurate results. When you are encouraging your troops to use pharmaceutical "enhancements" yourselves (and considering the dangers inherent in the possible antagonistic -quite literally-, effects when these drugs are combined), "once a year" seems totally inadequate (for having engendered the culture what is one to expect? ).